Over the past two days Entertainment Weekly has been releasing tonnes of new tidbits and images from Star Wars: The Last Jedi, covering topics like Luke and Rey's relationship, the creatures and history of Ach-To, the mysteries of Rey and Finn's pasts, and Benicio Del Toro's mysterious "DJ". Today, Anthony Breznican wrapped up EW's coverage with a rapid fire story touching on the roles of several characters in The Last Jedi with writer/director Rian Johnson and Rey actress Daisy Ridley. 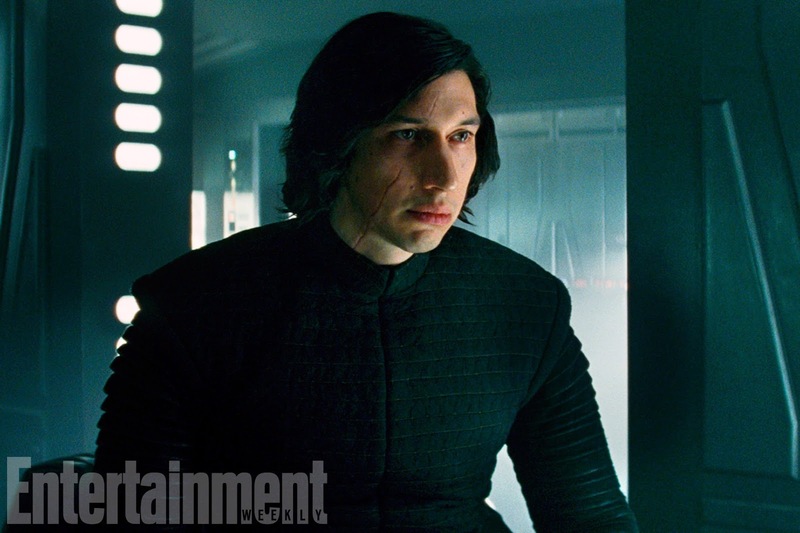 "Kylo represents kind of the rebellious anger that you feel during that period. Honestly, sometimes it’s a healthy desire to push away from the place that you know, from the things that you came from. But he obviously does it in an extreme that’s not healthy at all." Kylo's most significant act in The Force Awakens was to take the life of his father, Han Solo. 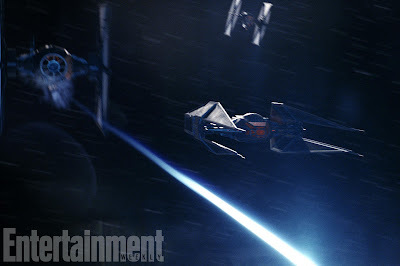 This act will not be forgotten in The Last Jedi and the spectre of Han will hang over this movie (though he won't actually appear). This will come, in part from Rey, who can't understand why Kylo would do what he did. "She just doesn’t understand Kylo. When all she wanted was parents, why would a person who has parents do that? It’s so beyond comprehension, it’s ridiculous. So she has grief for the loss and then there’s anger. To be honest, she couldn’t understand doing something like that – let alone to your parents." "Chewie’s doing all right. It’s tough. It was obviously a big loss for him, but, you know, he’s Chewie. He’s resilient. (...) If Chewie was just unemployed and sitting at home, things might be a little rougher, but he’s got a task to focus on." "That character is just so damn cool looking. Like, okay, let’s see what we can do with her. Let’s put her in action and see what happens." And finally, Johnson spoke about what to expect from Maz Kanata in the upcoming film. We know that Maz is in the film since Lupita Nyong'o is listed in the credits, but we haven't seen anything of her character in any of the released promotional material. Johnson confirmed that Maz is in the movie, though she has a smaller role than she did in The Force Awakens. "She has a smaller part in this than she has in The Force Awakens, but it’s a really fun part, and Lupita is so awesome. I’m just happy I got to work with her." You can read the entire feature on Kylo, Chewie, Phasma, Maz and Han's legacy in The Last Jedi here.